Even with a busy meeting and interview schedule, we managed to spot some pretty nifty things during day 1 of the NRA Annual Meeting in St. Louis. So far, we’ve only covered about 30% of the exhibits, so look for more over the next two days. 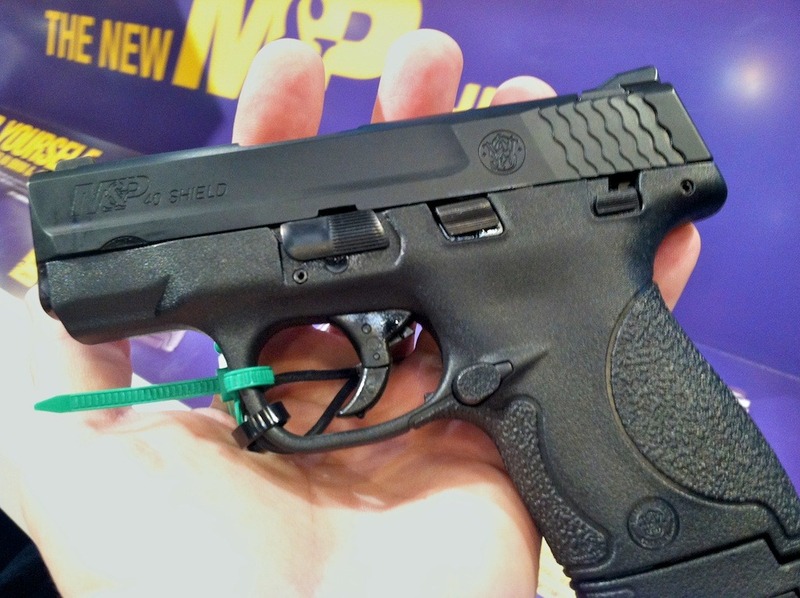 Smith & Wesson M&P Shield – The much anticipated Shield is out and available for purchase. It’s a compact, yet comfortable little single stack pistol. It sports a brand new trigger design which is, well, fantastic. Aimpoint Pro – Previously for LE and Military only, a civvie version is ready. 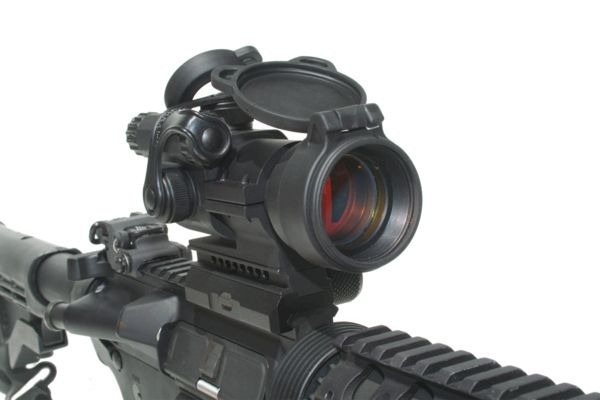 2 MOA red dot, flip up lens covers, a torque limiting rail mount and typical Aimpoint quality. We’ll be doing a full review shortly. 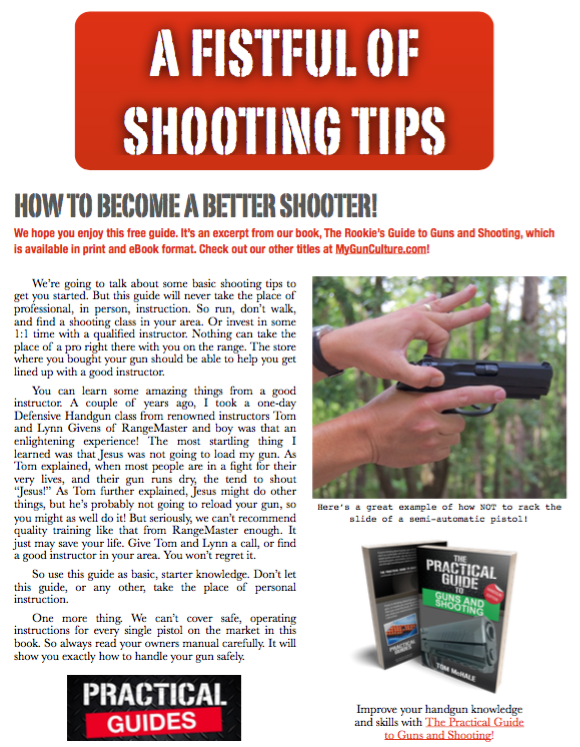 Bore Tips and Swab Its – We first saw these at SHOT Show 2012, but they still make the NRA AM Day 1 cool list. 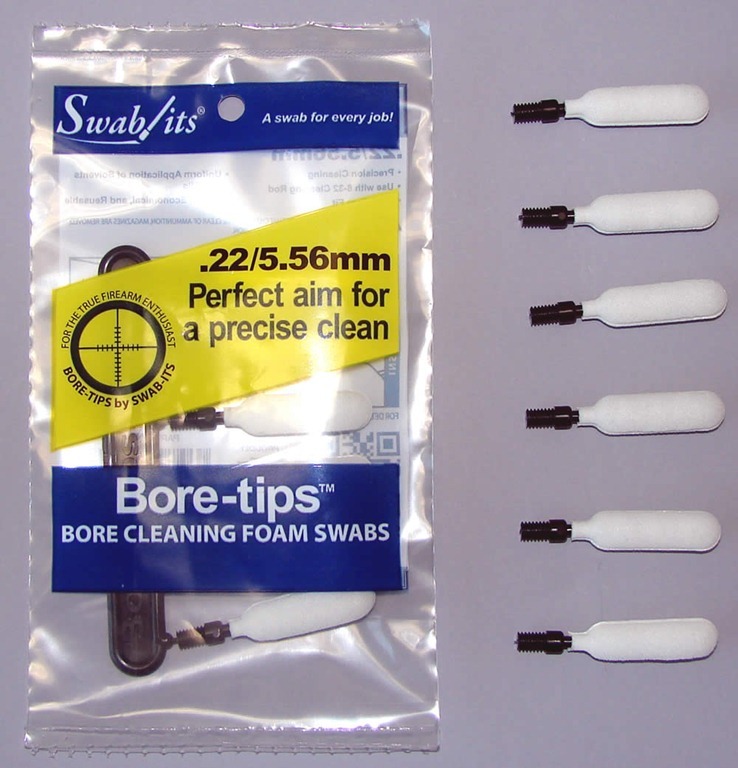 Bore-Tips are foam based cleaning swabs get complete contact with the barrel – and they are washable for reuse. Swab Its are the 21st century equivalent of Q-Tips that don’t leave cottony junk in your gun. And they come in different sizes to do things like reach into those impossible spaces in AR chambers. 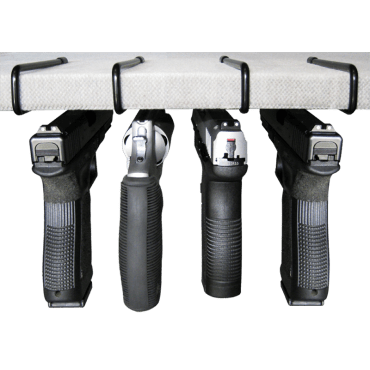 Handgun Hangers – From Store More Guns, these simple but amazingly useful hangers mount above and/or below safe shelfs to hang pistols by the barrel. This keeps your pistols organized on any size of shelf. And you can store magazines underneath. They also have some nifty solutions that allow storage or more rifles in the same amount of gun safe space. 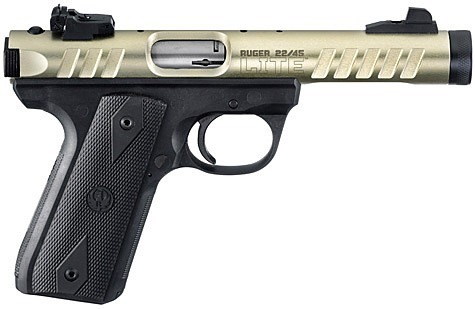 Ruger 22/45 LITE Rimfire Pistol – This fun little .22LR pistol is shockingly light. No really, shockingly light. Oh, and phenomenally cool. The gold receiver and barrel shroud is tastefully colored and the contour cuts are just plain sporty. Look for this in different colors something in the future. Now that is a nice rifle. I’ve been wanting to try an angled foregrip. How’s that working out for you?